The second and final day of the hosted Orvis event featured a much more manageable amount of angler pressure despite the wonderful weather. Everyone again was able to pose a few steelhead for the camera. 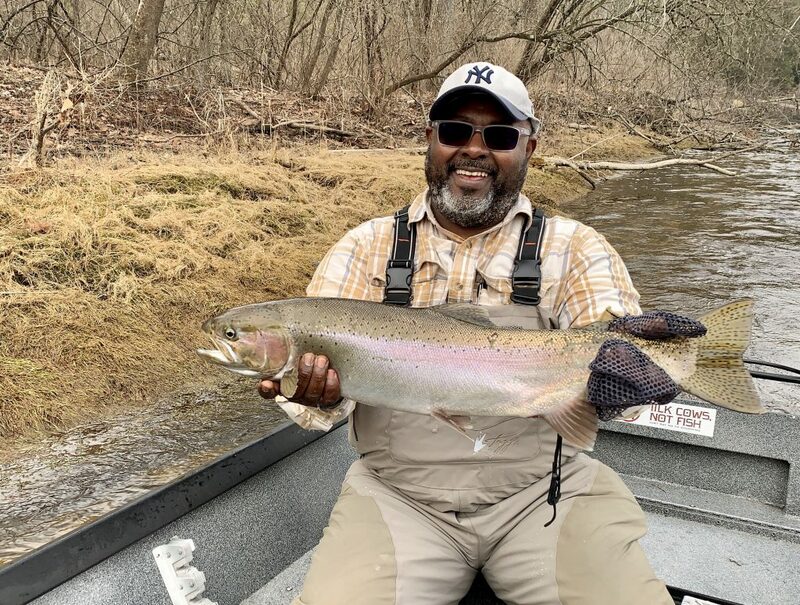 A big “thanks” to Orvis Grand Rapids & Orvis Royal Oak for putting together a great group of fisherman, and of course Chef Jen & Chef Steve for going the extra mile as usual. I had the pleasure of getting to know Joe the last two days on the river. It was certainly a pleasure that I hope will repeat itself again someday. Congratulations on several nice steelhead. I hope to see you again soon!